Older: Twitter, Uber Mobile Snooping; EU vs. Google Newer: Have You Been Harassed Online? 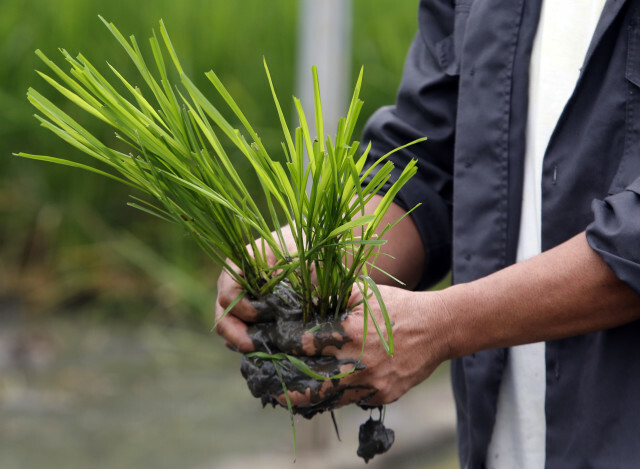 Proponents and critics of genetic modification (GM) have been arguing over the potential impact of genetically modified organisms (GMO) on health and the environment for more than a decade now. Genetic engineering can manipulate the DNA of crops to switch off existing traits or add new ones in ways that were not possible before. Proponents argue that genetic engineering has been at work long enough without reports of health or environmental risks. They say the process undergoes rigorous testing and is more precise and more sustainable. Opponents say the biotech industry’s safety tests are self-motivated and lack oversight. They argue that in addition to concerns over long-term health issues, the environmental impact of GM farming is already evident. TECHtonics reached out to two experts from each side of the debate to get a glimpse of where some of these issues stand today. The argument that genetically modified crops release escaped genes into the environment or that they cause allergies are concerns that are, in his view, “orchestrated and made up,” says Prakash. He says pollination and cross-pollination is always going on and has not prevented people from growing food crops for thousands of years and maintaining the purity of crop varieties. There are “no side effects to genetically modified crops,” says Prakash, and no increase in allergens because of GM crops. Nevertheless, going conventional or GM is a matter of preference – and precision, says Prakash. What about the nutrition label? The biotech industry, according to Prakash, is not opposed to voluntary labeling of GMOs. But he argues that food is not typically labeled based on how it was grown, but rather on its nutritional content. Do you act with precaution and do studies first? Or do you use the new technology until there is reason to suspect that there is some unexpected consequence? At the heart of these questions is what Salvador calls the philosophical difference that comes into play when evaluating the safety of biotech. He says a little more than a decade and a half of this type of research, biotech now has a track record. “And the … issue that concerns us the most is the environmental impact that results from the fact that this is a technology that enables and accelerates intensive agriculture, and particularly the kind of agriculture that generates a lot of environmental damage,” he said. With GM farming, Salvador says more acres can be planted in a shorter period of time. The high cost of the seed motivates farmers to apply as much nitrogen fertilizer as possible to promote productivity and make rapid passes over the field with machinery, thereby baring the soil because weeds have been controlled chemically. What follows, says Salvador, is water pollution due to the over-application of fertilizers, soil erosion, sedimentation of public waterways, and high cost to the public. That puts GM technology “in the midst of catastrophic failure” for not delivering on its promise to give “greener, cleaner, more sustainable agriculture,” said Salvador. Current applications making crops herbicide-resistant and insecticide-resistant or producing their own insecticide have resulted in a “rapid adaptation of both weeds and insects,” he said. The current system, which is supported by direct public investment “would get greater returns on its investment if it had a less damaging system to … ecology, as well as to health,” he said. Regulate the final product, not the technology. 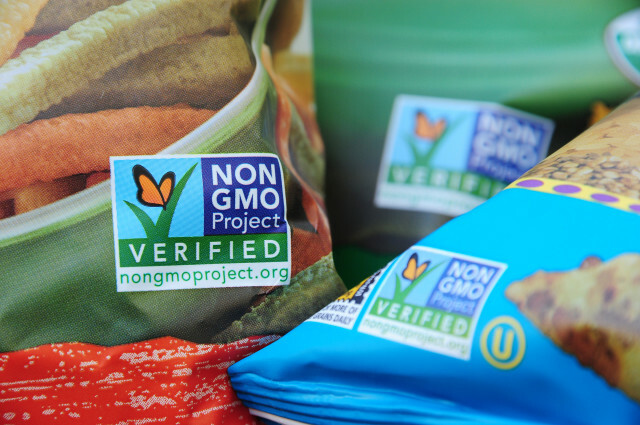 If a novel non-GMO variety and a GMO variety carry the same trait as a result of the same genetic change, regulate both or neither. If we had applied the precautionary principle to every new agricultural technology – e.g., mutagenized seed, artificial selection and hybrid-development – we would not even be close to feeding 7 billion people. Unless of course we had subjected the planet to even more massive deforestation and 50% of the population in every nation – developed and developing – was engaged in agriculture. I am not opponent of GMO, but I am effraid by modern agriculture. Because according to the UNO 45% of the agricultural grounds are damaged by fertilizers, pesticides, mecanic devices. The bare grounds after plowing are vulnerable to the sun (who kill bacterias and moulds), to the violent rains (with gullying). And crops need more fertilizers and we lost arable grounds each year. That it isn’t sustenable. We have to invent new agriculture, so we have to invest a lot of money and a lot of scientists to find out new techniques. Seeds are too important to be the monopoly of a handful of companies. Salvador shows his and the organization he speaks for to be biased and incompetent. For example, his opening question is dishonest as he knows or should know of the many studies already done. http://www.geneticliteracyproject.org/2013/10/08/with-2000-global-studies-confirming-safety-gm-foods-among-most-analyzed-subject-in-science/ Also Salvador makes some obvious errors in this interview. For example, “more acres can be planted in a shorter period of time” It is the seeds that are modified, not the planting equipment. He alleges excess nitrogen is applied. Why would a farmer waste fertilizer When he knows that the nutrient requirements for g.e. and other seeds are the same? He alleges extra passes with equipment. When some g.e. crops require less equipment passes, due tio not needing to spray insecticide. The claim that the business model of selling seeds to farmers is different than the model of companies selling hybrid seeds is bunk. Farmers have plenty of seed choices and are exercising their “self determination” when they make their purchases each season. If a farmer wants to chooses to save seed. He can still do so simply by not purchasing patented seed in the first place. Salvador is clearly not a competent source to be interviewed for this article. The author should have realized this when doing due diligence. Known as fact checking. Talking to a few farmers would have exposed Salvador as unreliable. Sigh. Right. None of his issues are unique to GMOs. I was really hoping after they cleaned house at UCS that someone could be found who doesn’t conflate GMO tech with the other issues they have. But apparently they couldn’t find anyone still. Too bad. As a federal agency funded by the U.S. government, the Voice of America does not accept money or advertising from any other parties, nor do third parties otherwise influence our coverage. Yogi Greg, All caps is not necessary as most of can read regular typing. Besides it just makes your evidence free rant look even dumber than you intended. When one makes accusations. One should have proof. Where is your proof? Got any “evidence to the contrary? Ooopps none there. either. Aloha Ms. Akl; In the preamble to your article, you stated you “reached out to two experts from each side of the debate”, yet your article provided opinions from Dr. Prakash and Mr. Salvador, and nothing from the two other “experts”. I am curious as to why you elected to omit any references to identity of the other two experts, as well as not quote or attribute opinions from either. In an effort to take an informed position on the GMO issue, I am making every effort to thoroughly research “both sides” of the controversy. I will admit, however, the anti-GMO faction appears to operate in an absolute vacuum of reliable scientific evidence in support of their position. Mahalo for your anticipated reply. Thank you for your comment. Two experts were interviewed for the story. Both were named and quoted without bias. Their opinions speak for themselves. Ah, now I understand; two experts, one from each side of the debate. Mahalo for your clarification. Artificial selection always provide a good road to better mankind’s, potatoes brought us lots of fungus and human still eating potatoes as old school in English Speaking Culture’ pushing new worlds.